'If You Can Keep It' explores the structure and workings of the U.S. government. What does it mean to be an American? 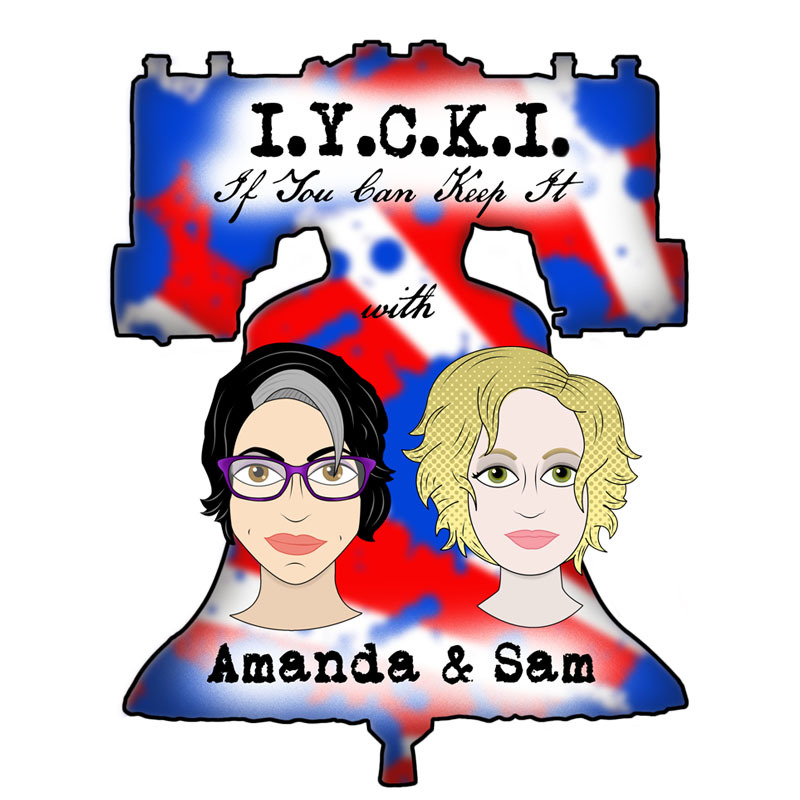 Armed with primary sources, humor, and anecdotes, Amanda and Sam attempt to answer this question by making civics education fascinating and fun. In Episode 8, we discuss Article II, which outlines the "executive power." The executive branch includes more than the President, but the focus of the Article (and of this episode) is the President. That position is a pretty big deal. Remember the last time the Founders dealt with a centralized executive power (cough cough George III)? There was plenty of concern over how to structure the office of the leader of the nation so that it's effective without becoming too powerful. For those of you diligently reading the Federalist Papers (a gal can hope), Federalist Nos. 69-74 discuss the need for a strong executive and related topics like term limits, the structure of the executive power, reelection, a salary, and being the commander-in-chief. How does the President get elected? Who is eligible? What does the Electoral College do (and why is it controversial)? What if there's a tie? What happens if the President can't finish out his or her term in office? Where the hell does the ability to issue "executive orders" come from? What happens if everyone dies (i.e., what's the plan for succession)? How does the impeachment process work?